Have a drink with The Walking Dead comic book series! 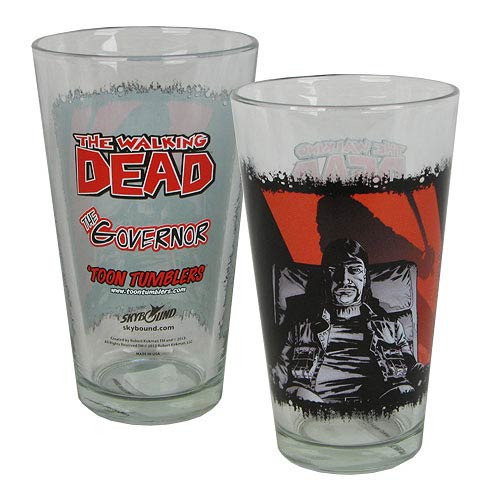 The Walking Dead Comic Book The Governor Toon Tumbler Pint Glass looks absolutely fantastic. Featuring an image of The Governor looking staunch as he rests sitting in a chair, this Toon Tumbler will let you relive The Walking Dead comic book series every time you parch your thirst! Dishwasher safe and lead free. Ages 14 and up.